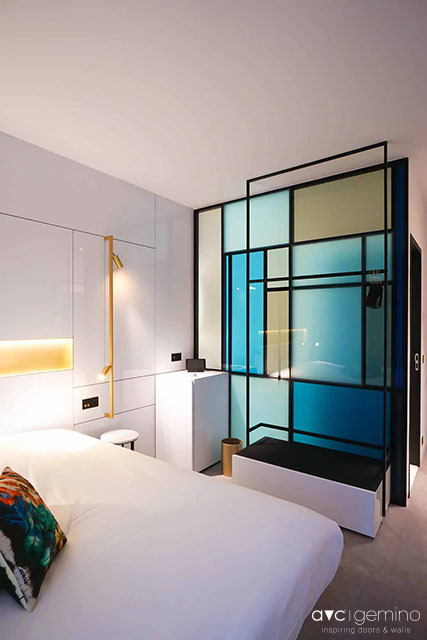 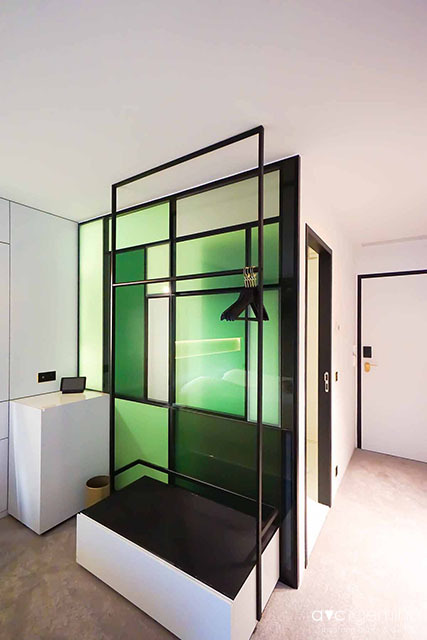 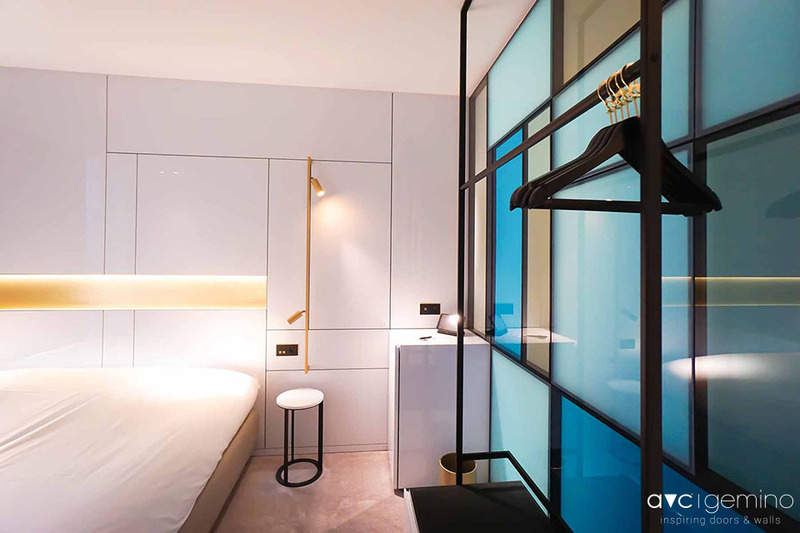 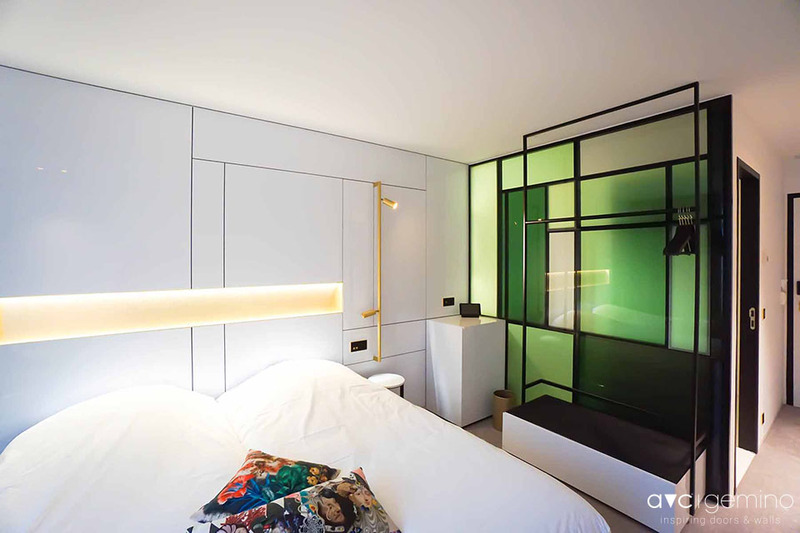 Hotel Damier illustrates perfectly the creative possibilities of our Monovolume walls. 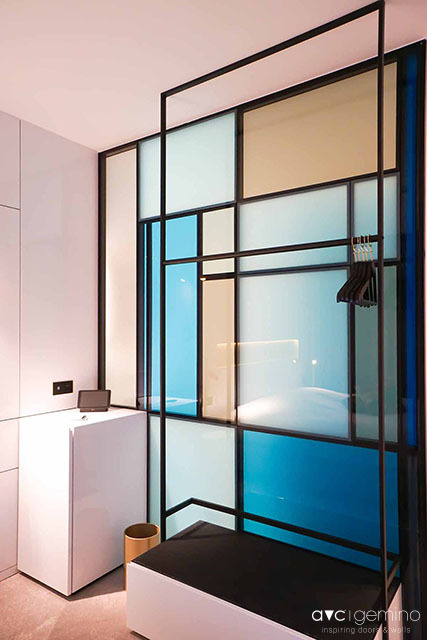 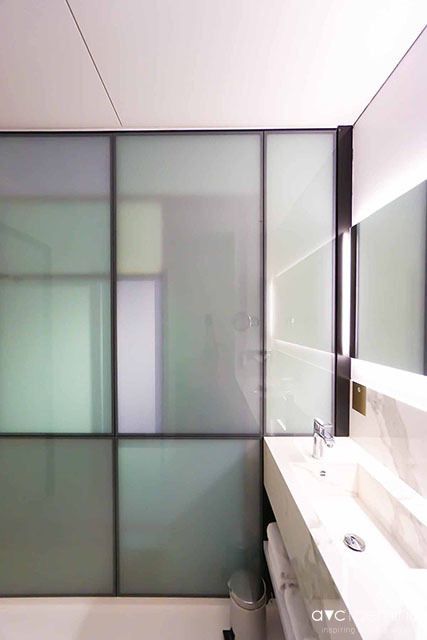 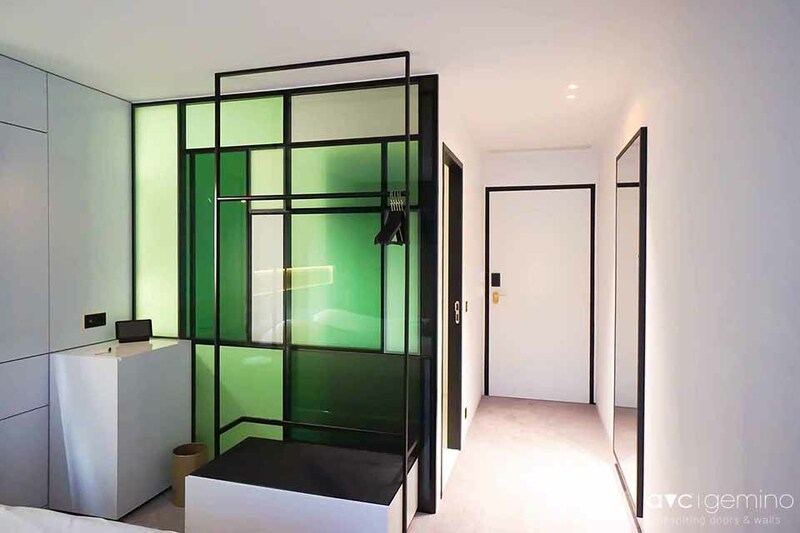 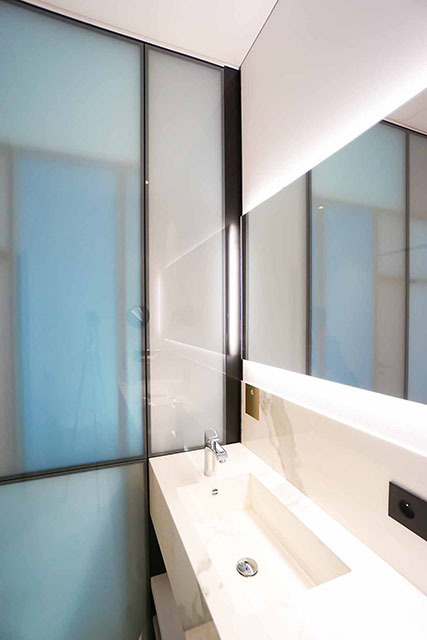 By using color nuances in the glas and different glass sizes, a Mondrian style is realized. 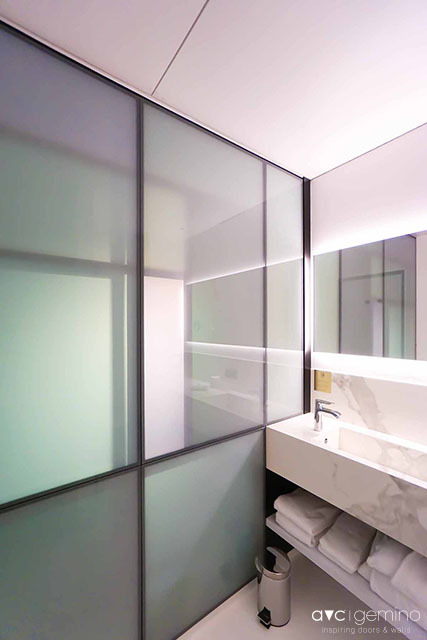 In this project, the design and our customization ensure a real work of art.